It has been a difficult year for the garden, I suspect this is due to the drought. Although we have to fight the birds and raccoons, we usually get pretty good Apple and Fig crops but this year both trees gave minimal produce. 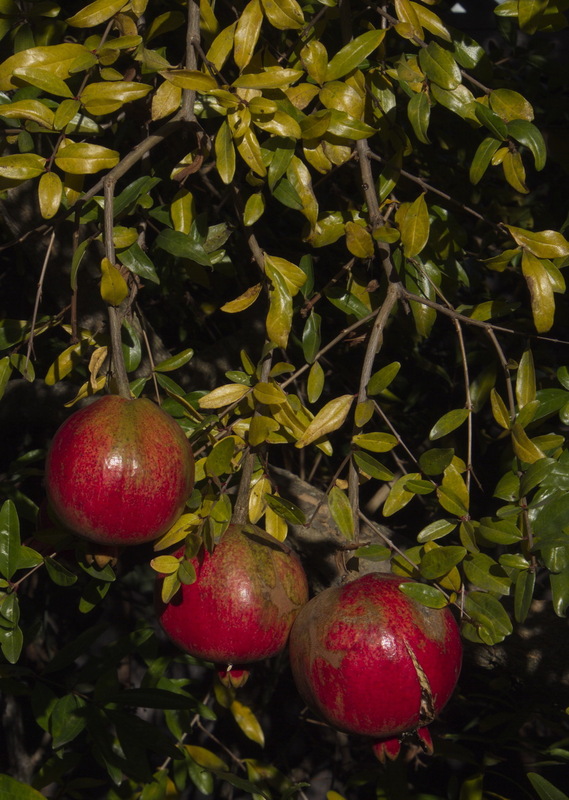 Up until last year, the pomegranates came in OK, but they were kinda bitter, but two years ago, someone suggested feeding that tree with coffee grounds, and while last year, we had a pretty tasty harvest, but we are pretty much looking at the entire 2015 harvest (small in quantity, but the flavor is finally there). Last night, we took another blow. Sub freezing temperatures are rare here in the East Bay, but we are experiencing a bout of it now. Our Meyer Lemon tree just emerged from its November/December dormancy, and is currently pregnant with fruit. 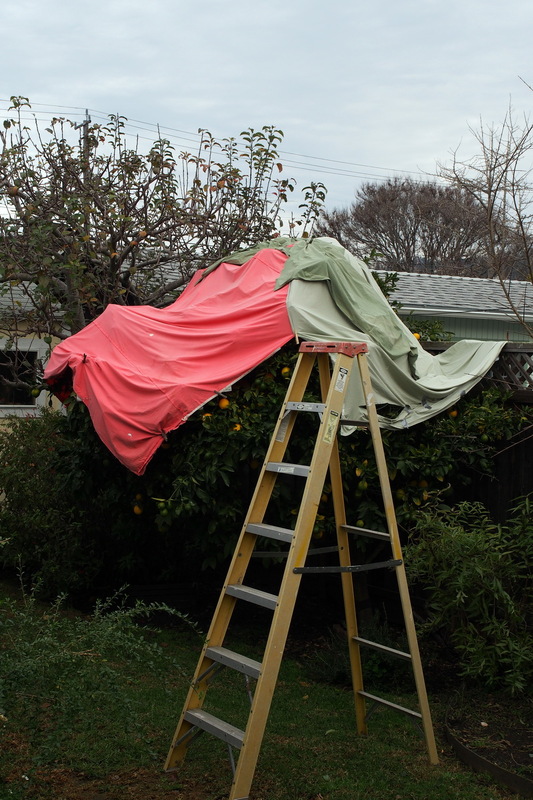 Naturally, we waited until nightfall to decide to protect it from the frost, so I was out there climbing a ladder in the dark. This morning, the dog’s water bowl was topped with a layer of ice. 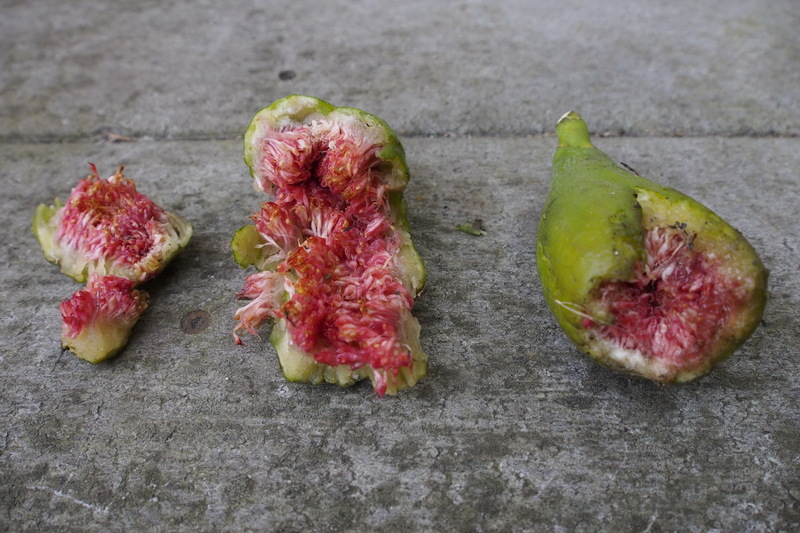 I suspect that many of the fruit tree buds are damaged. 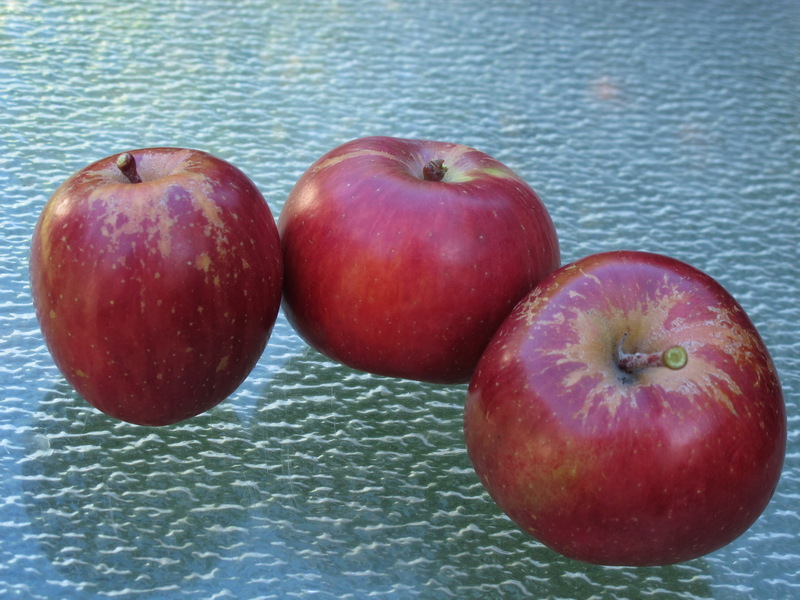 Will this take a further toll on our produce? Who knows, Mother Nature has some pretty strong survival mechanisms working for her. They say that what doesn’t kill you, makes you stronger. Maybe the buds that survive the frost will cause the whole plant to produce more vigorously. As Roseanne Roseannadanna would say, ” It’s always something”. This entry was posted in Other Stuff and tagged Fruit, Garden on December 27, 2015 by Jimmy Reina.